Did you know that you don’t have to diet? It’s true, you don’t. You don’t have to diet* or restrict your eating. (And by diet I mean any type of restrictive eating pattern including paleo, keto, clean eating, whole 30, etc.) I can’t tell you how many times I’ve heard people say I had no idea that I didn’t have to diet. I had no idea that you could just eat and enjoy food. I had no idea that eating could be pleasurable or that this was okay and even healthier. You can take good care of yourself, be happy and appreciate your body- all without dieting. Diet culture wants you to believe that dieting is self care- that dieting is the solution to all of life’s problems, that to feel better all you need to do is change your body and your eating, but that’s not true! Dieting will never fix how you feel about yourself, make you happy, or even healthy. 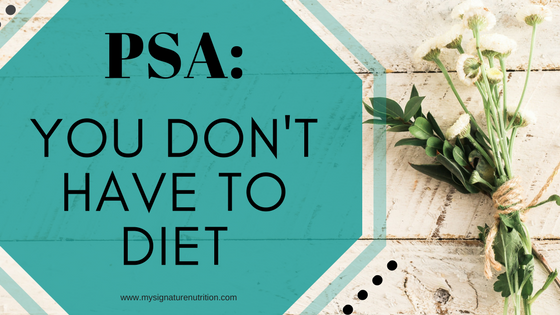 When there’s such a focus on health, weight, shape, and size it’s easy to feel like if you want to take good care of yourself, be healthy, happy, successful, in a relationship or anything else- then you need to change your eating (or diet). 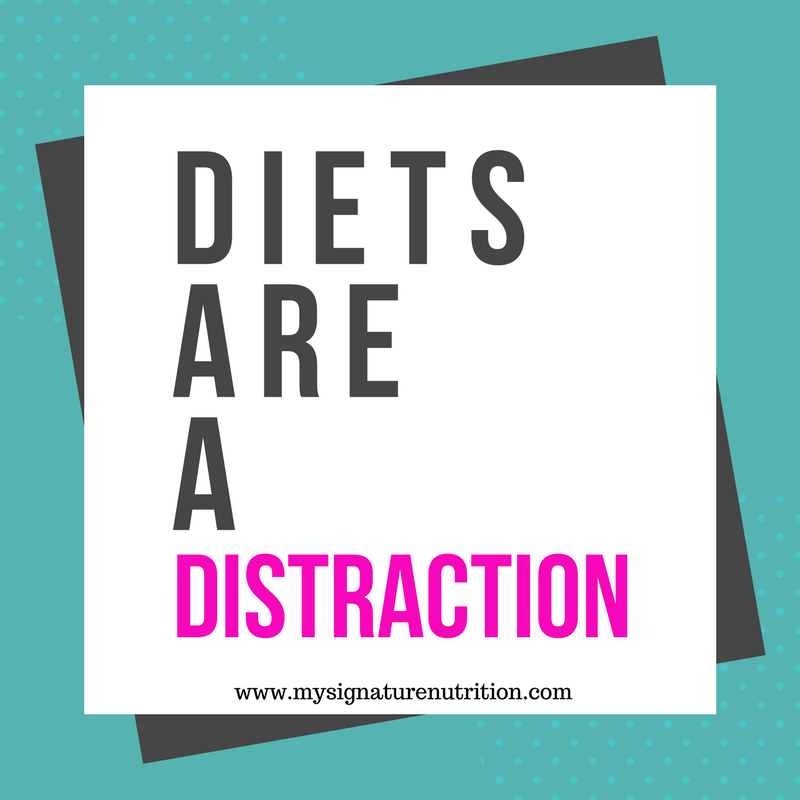 In Reality Diets are a distraction. They give you something to do, something tangible focus on and a false sense of control. Diets are like spinning in circles. You’re spinning and spinning but you’re not getting anywhere. It feels like your doing something but when you stop spinning you’re in the same spot just left feeling dizzy and confused. This is what diets do to your relationship with food. They leave you feeling miserable, disoriented, and like a failure. You can improve your health and well-being without dieting. And I just want to add, you’re not required to improve your health and well-being. It’s okay if you just want to exist and not focus on that. Focus on taking care of yourself in a kind and compassionate way. Respect your body because it’s where you live and you can’t exist without it. I recognize that sometimes these are difficult things to do and it can feel easier to just diet, but that’s where having support can be so beneficial. Support from a weight neutral practitioner or an intuitive eating counselor. I offer that type of support and would love to help you stop spinning and feel better about yourself. 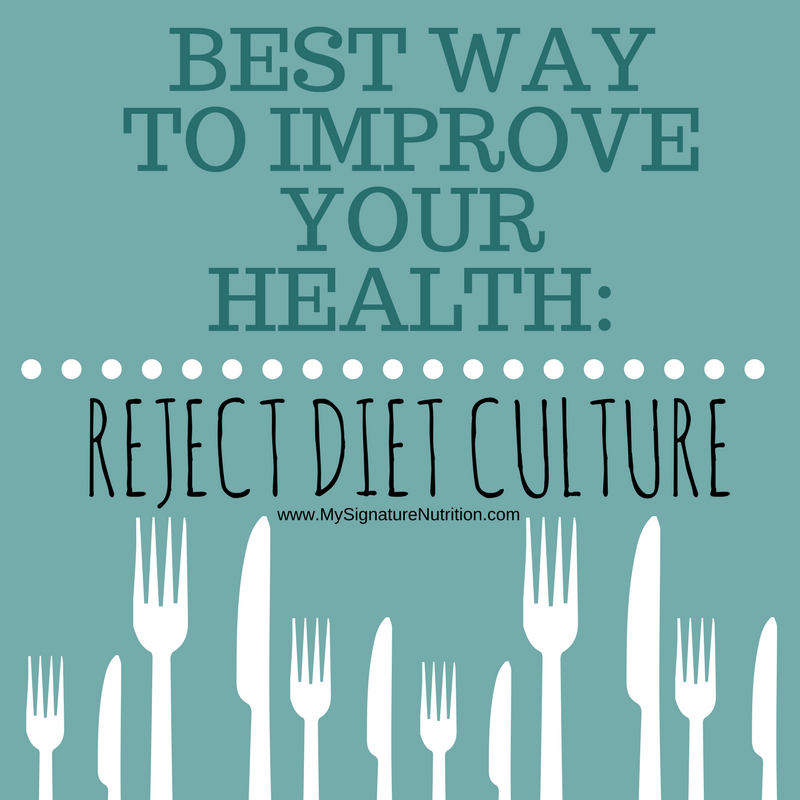 You can also get my free guide to rejecting diet culture. But if you take one thing away from this. Remember that you are free to choose. You don’t have to diet. Your worth does not come from your eating or your body. You do not have to diet.